I received a sample of the Therapedic Fiberbed in exchange for my honest review. My life has been crazy lately, from intense days at work to running the kids from one thing to another. By the end of the day, I am completely exhausted. Sadly, my bed has not been providing the best place to crash at the end of the day. 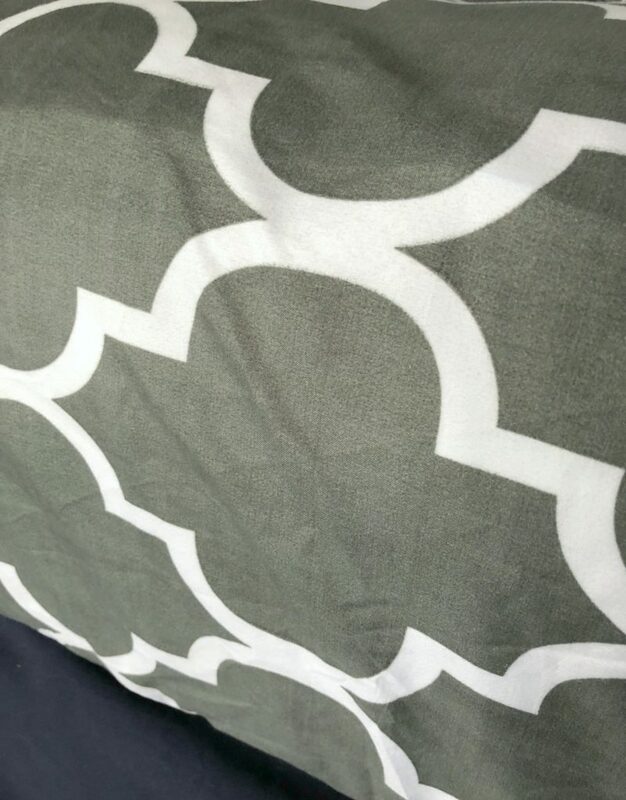 Our mattress is very old, and we tried getting a new mattress, but have had no luck. Where our current mattress is too hard, the new bed was so plush that we sank to the middle (so we gave it to our daughter). We have also tried a variety of toppers, to no avail. They either did nothing, or added even more firmness to the bed. 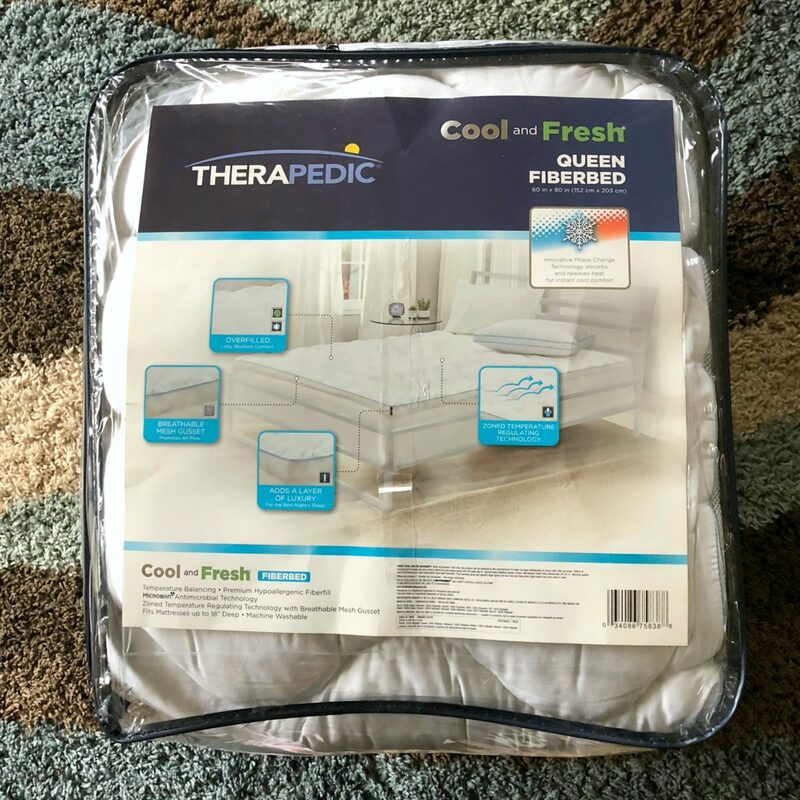 I wasn’t sure what to expect with the Therapedic Cool & Fresh Fiberbed, but I have desperately needed better sleep, so I was looking forward to giving it a try. My job has been very physically demanding lately, and all I want is something comfortable at night. The fiberbed comes neatly folded in a bedding bag. I couldn’t wait to unpack it! You can see how nice and plush the bed is, right in the bag. The Therapedic Fiberbed has no odor. 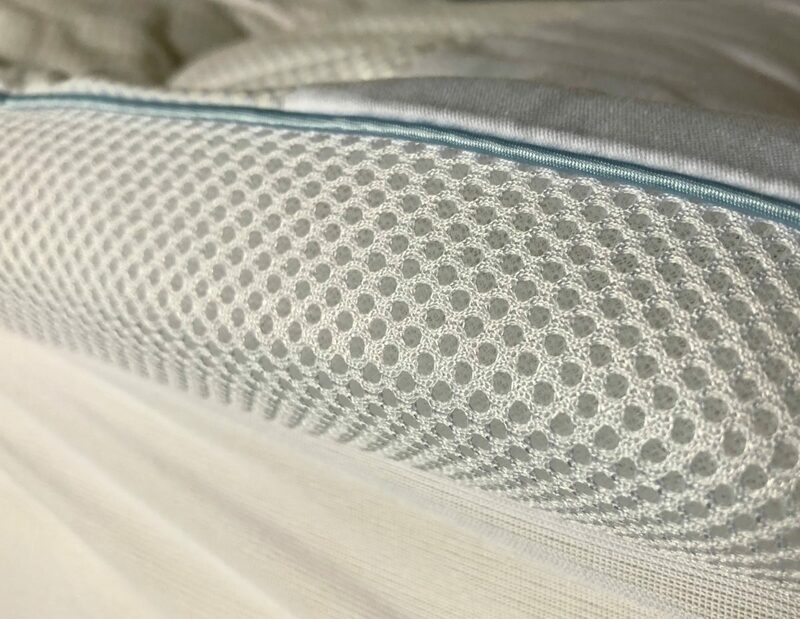 I have tried a variety of foams and mattress toppers, and there is often a chemical smell associated with it. I am pleased to say this went right on the bed without any kind of scent. This product goes on the bed without any difficulty. I simply took it out of the bag, and put it on the bed like a fitted sheet. It is just the right size, and has no problem fitting right under our sheets. It isn’t bulky, and doesn’t make it so that the sheets pull off the mattress. The fiberbed acts like a topper, and it adds a cushy layer of comfort. It is also soft and breathable. 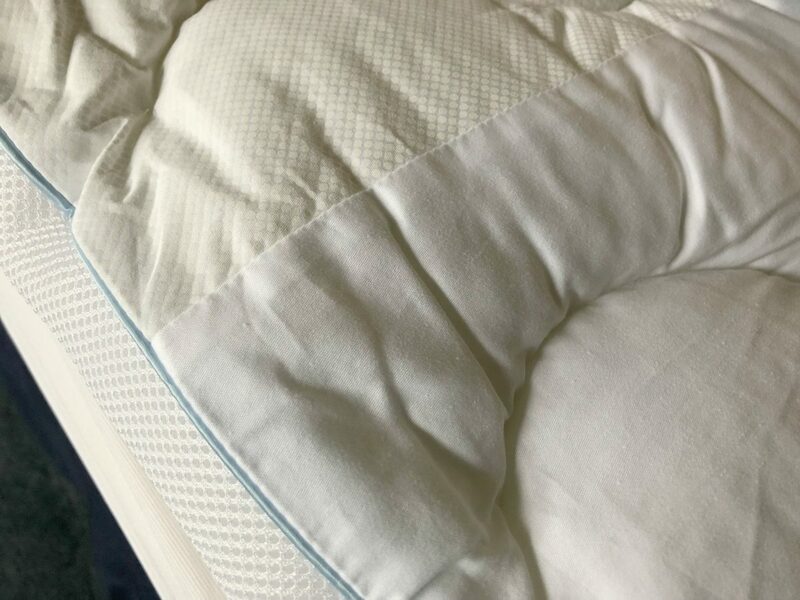 The Therapedic Fiberbed even has zoned temperature regulating technology, and I can actually tell that it helps keep my bed more comfortable. Right now we are between seasons, so during the day my bedroom gets hot and stuffy, and we leave the window fan on when we go to bed, which means it goes from warm to chilly, but the fiberbed seems to help so that I’m not sweating or losing heat either. I honestly had my doubts that the Therpedic Fiberbed could be my solution to getting a better night’s sleep, but the thickness and the plushness it provides is just right. It isn’t too soft or too firm, and . 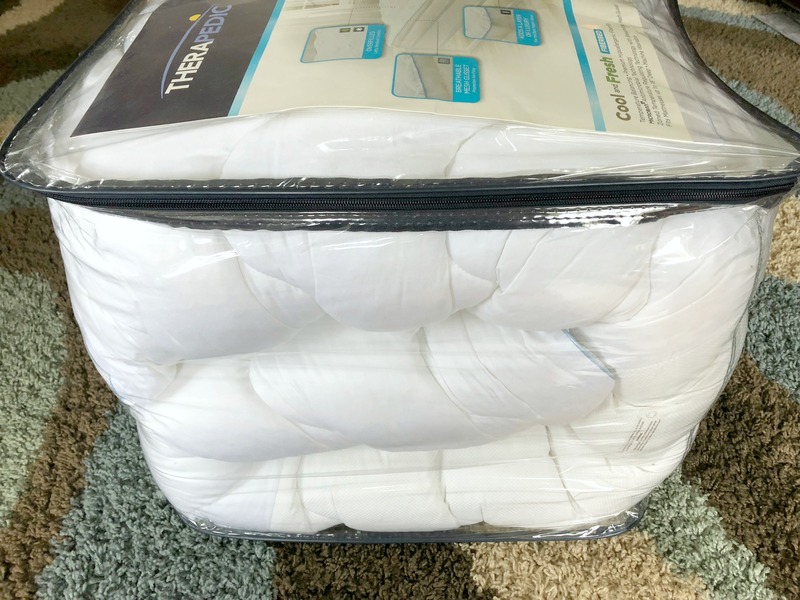 My body can be so sore and achy at the end of the day, and I have even had my hip or shoulder go numb from laying on a hard mattress or mattress pad. The Therapedic Cool & Fresh Fiberbed is available in sizes Twin/Twin XL-California King, and retails for around $79.99-$149.99. I highly recommend it for getting a better night of sleep! That looks fantastic! It gets really hot down here in Georgia, and I cannot sleep if the bed is too warm. I think this would definitely be welcome! Zoned temperature regulating technology sounds awesome! As a midlife woman with hot flashes – I need this in my life! That sounds awesome! And I think I need to have this kind of bed I will definitely check this online. wow that sounds like a new technology that would really make a bed comfy. I would love to upgrade and we need to look into one of these! We so need a new mattress and this looks like a great fix! Our bed is always super hot and I would love to have a cool mattress! Sounds awesome and the bed I need! It’s summer here and it’s so hot. I barely sleep because of that. A good night’s sleep is so important to ensure that the day is a good one. A good bed is what makes or mars the quality of sleep. This bed seems to be ideal for a good night’s sleep . That looks so comfy! 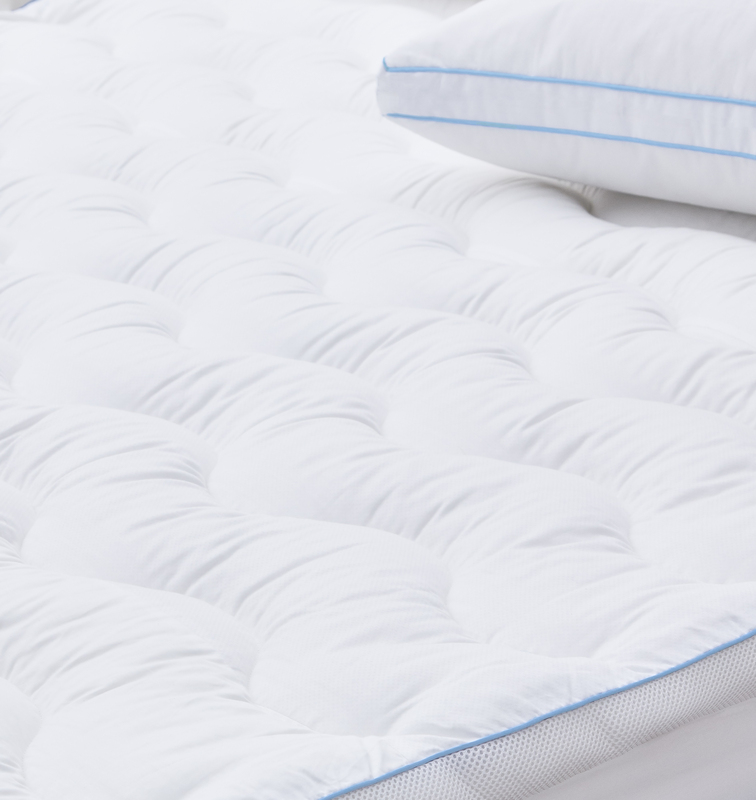 A high-quality mattress truly does make all the difference. After we got our new mattress, we slept like babies and woke up without a sore back! This looks so cozy. I love having a little extra fluff on top of the mattress, but I likeit to be a topper so we can rotate it more. I live in Charlotte, NC and you can imagine how hot our summers get down here. This would be perfect for me. Sounds like a great product! My husband and I are in the market for new bedding products. The PCM technology sounds great and perfect for summer months! Wow, I really need one of these. My mattress has seen better days! This sounds like an awesome product to stretch it the life of a mattress plus sounds so comfy! I hate that smell too. As someone who has chronic sleep problems, I can appreciate a product that will help me get some rest! This could not have crossed my path at a better time! I need one! We’ve been researching new mattresses lately since we’re moving and in need of one. This looks like a great option! That sounds like a great topper.It does look so plush from the bag. We just bought a mattress,but I would like to have a topper too. I love that manufacturers are putting effort into making mattress products stay cool. I prefer a cool surface to sleep on and warm blankets to adjust. This looks great! This sounds so awesome, I am always getting ridiculously hot at night for no reason, I may be giving this bed a try. Hum … due to a medication I take I often get very hot at night I wonder if this might help? Looks like an awesome product! I’ve been looking for a good mattress topper, and this would be a great option for me. Thank you! A cool bed is a must for our family! I hate getting hot. Definitely need to look into this one when we get a new one. 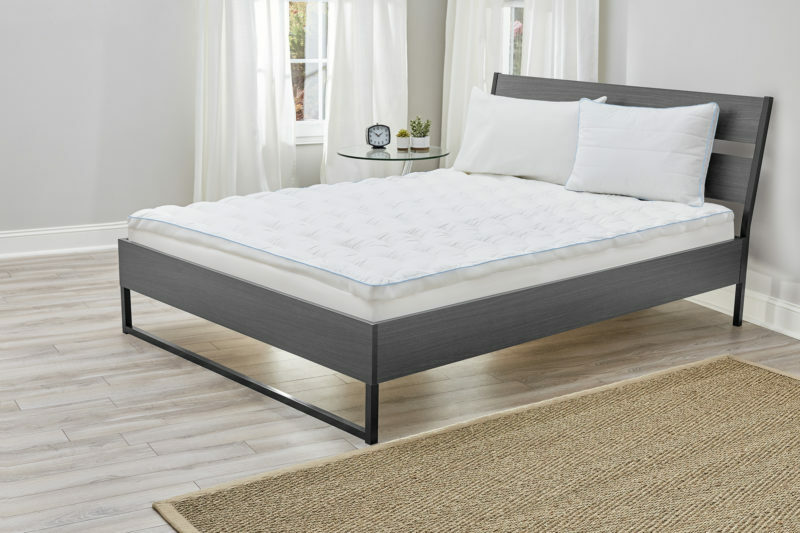 This is an awesome price for such a good mattress! That bed looks absolutely amazing. It is so hard to find a high quality mattress. Looks like you got one! I love out bed but a cooling bed sounds amazing! I’m such a hot sleeper!